Fee : HK$280 for members; HK$350 for non-members (HK$30 walk-in surcharge on all prices listed); Free of charge for student members studying full time degree (subject to availability). The course consists of 3-half day events. A New Code of Practice for Structural Use of Glass has formally issued by Buildings Department on 9 February 2018 together with a Circulation Letter highlighting the special features and date of effective implementation with a grace period of 12-month for the captioned. The Code provides guidance on design, construction, testing and quality assurance of structural glass works. It adopts the limit state design approach, which should provide a more rigorous and economical design than conventional method. The seminar takes a performance-based approach to explore in-depth the processes of design and construction of building envelopes, with an emphasis on the background and technologies behind structural glass work. Aesthetic and technical issues encompassed by glass design in current local practice will be addressed. Moreover, there is an increasing trend in the use of laminated glass in residential buildings, commercial buildings and retails. This trend is being driven by the increased desire for more open designs with less visible framing and structural supports, resulting in glazing designs that provide greater transparency and visibility. However, there is always the possibility of glass breakage in glass skylights, canopies, sloped glazing and glass balustrade. Without laminated glass, that could mean a big safety problem caused by shattering glass. Principal feature of laminated glass is the safety performance under impact and breakage. Although the glass may break, the glass fragments remain firmly bonded to the interlayer, minimizing the risk of injuries. Quality assurance and quality control are essential to building a successful structural glass and/or façade system and delivers glass assemblies/product that meet designers’ expectations. It is crucial to have testing and measurement of the glass assemblies as well as the whole structural glass work or façade systems. Therefore, updated requirements on testing and quality assurance will be addressed in the second seminar. In Hong Kong, there are many curtain-walled buildings aged 30 years or above. While there is no specific guideline on the inspection methodology of curtain wall system given in the Code of Practice for MBIS and MWIS and there are intensive aspirations from the industry about the acceptance criteria of prescribed inspection of curtain wall system. The speaker will share the inspection methodology in particular the inspection and supervision of repair for defective structural sealant in curtain wall system in the third seminar. Ir Dr. Dominic YU is a specialist in the structural design and use of glass. He is Principal (Structural Fire and Façade) of Alpha Consulting Limited, providing consultancy services on glass and facade engineering, non-linear integrated design and analysis, structural fire engineering analysis and design, steel and composite design etc. He is a Part-time Lecturer in Fire Safety Engineering Programme of University of Central Lancashire & CityU SCOPE. He is also a Visiting Lecturer for MSc Module of Façade Engineering in the Civil Engineering Programme at the Hong Kong Polytechnic University. Before joining Alpha Consulting Limited, Dr. Yu served as a Specialist Test Consultant and Approved Signatory of Research Engineering Development Façade Consultants Limited (RED Façade and Fire HOKLAS Testing Laboratory). Dr. Yu obtained Doctoral Degree of Philosophy in Structural Engineering, Master Degree in Fire Safety Engineering, and Bachelor Degree in Civil Engineering. He worked as a Research Associate in the Department of Civil and Structural Engineering at the Hong Kong Polytechnic University to serve as a Technical Secretary of the consultancy study contributing to the “Code of Practice for the Structural Use of Steel 2005” and the 2011 version. He also compiled the Explanatory Materials of the Steel Code for Buildings Department. Dr. Yu is Professional Consultant for Consultancy Study of “Code of Practice for the Structural Use of Glass 2018” for Buildings Department. Dr. Yu is also actively serving the industry and the university by delivering various technical seminars and lectures. He delivered over 80 technical seminars in various institutions including HKIE, HKISC, HKIS, RICS, HKICW, CASA, HKPA, HKFA, BD, ArchSD, etc., in which over 50 seminars since 2012 in the topic related to “Glass and Façade Engineering” from Statutory Requirements, Analysis, Design, Testing, Quality Control, Production, Practical Consideration, Installation and Inspection etc. 1. The registration fee is non-refundable and non-transferrable. 2. A registration number will be generated for each application. The registration number is unique and non-transferrable. Members cannot proceed to payment if they do not apply the CPD event and obtain the registration number through the HKIS website. 3. Payment can be made by cheque or by Credit Card (Shanghai Commercial Bank Ltd. / American Express). Cheques should be made payable to “SURVEYORS SERVICES LTD.”. A separate cheque or Credit Card payment instruction form is required for each event/ application. You should write down the registration number and HKIS membership number at the back of your cheque. 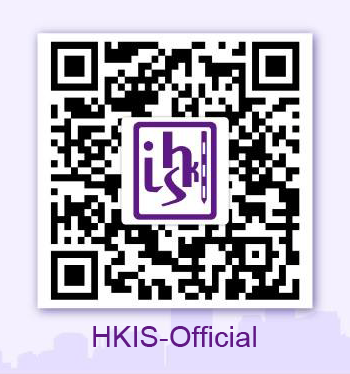 The HKIS Secretariat will update the payment status and your application will be confirm when HKIS Secretariat receive your payment. 5. An official receipt which must be presented at the event, will be available for downloading from the "CPD Profile" under Members Corners when payment is received. 6. Incomplete or wrongly completed registration will not be processed. 7. In the event a Typhoon Signal No. 8 or above or Black Rainstorm Warning is hoisted, the event will be postponed and a new arrangement will be announced. Should the aforesaid warnings be lowered 4 hours before the event, the event will proceed as normal. 8. If you have not received any reply from HKIS Secretariat within 7 days of the event, you may call the Secretariat at 2526 3679 to check the progress of your registration. 9. The HKIS reserves the right of final decision and interpretation in the case of any disputes.